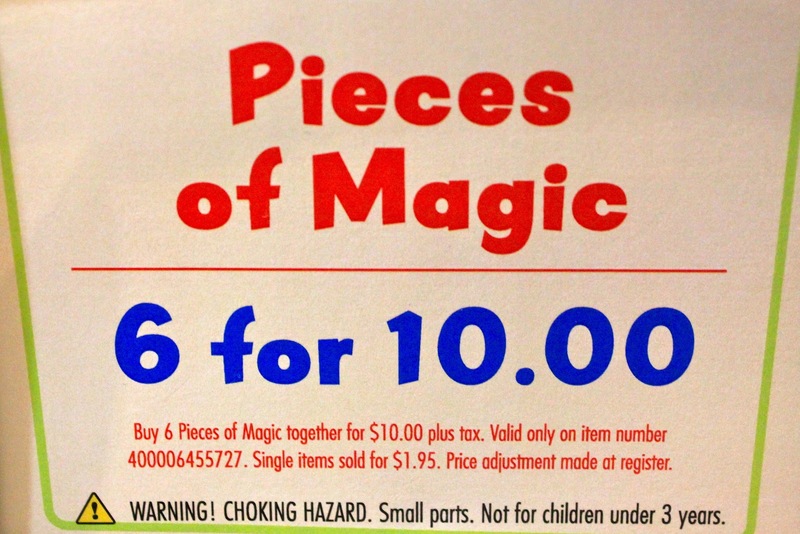 Pajama Penguin Productions: Souvenir Finds: Old Junk or New Magic? Disney produces a mind boggling array of products for their amusement parks. These souvenirs are so numerous that it's impossible to keep track of everything available at any one time. Marketplace Fun Finds, located at Downtown Disney, is one of the few places on property accessible to guests where you can find clearance merchandise. Visiting the other day, I discovered "Pieces of Magic," a small collectible I've never seen before. 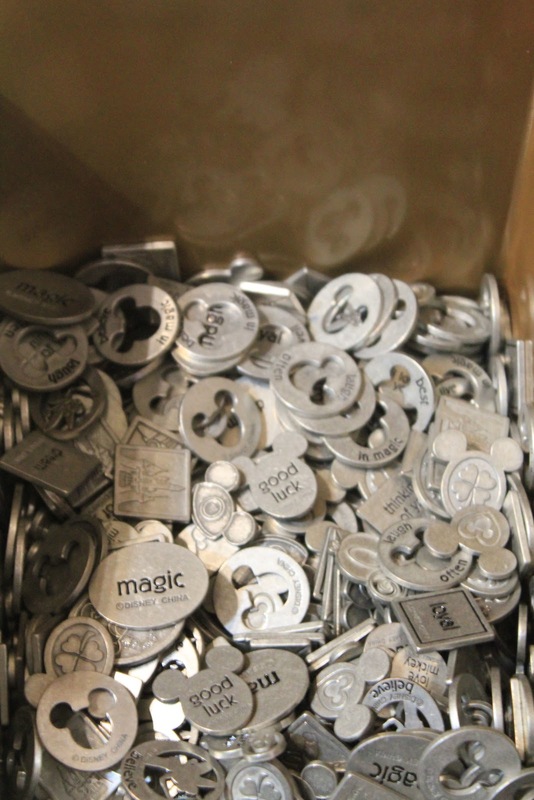 Pieces of Magic are small, coin size pieces of metal engraved with Disney graphics and positive words like "luck" and "magic." Pieces vary in size and shape, with some resembling Mickey Ears, stamped with holes in the middle, or a variety of other shapes. These are not designed to be placed on jewelry as a charm or any other obvious purpose. This is definitely a great souvenir to buy for a child's classroom or friends back home that's inexpensive but clearly Disney. They retail for $1.95 each or 6 for $10.00, and are one of those impulse items, like buttons, that are placed next to the register. 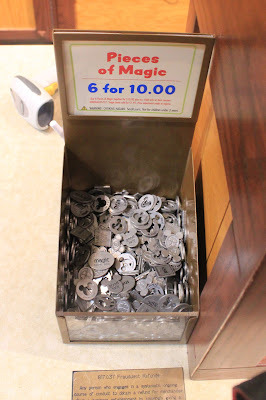 So far, I've only found them at Fun Finds, which most likely means it's an old item being cleared out of inventory, but there's still a chance I'm wrong. It could be a new item that hasn't been widely introduced. Unfortunately, I've yet to find any real information online about these Pieces. Still, whether new or discontinued, it's still interesting to find another product that seems to have appeared from nowhere. These are brand new... Came out very recently.